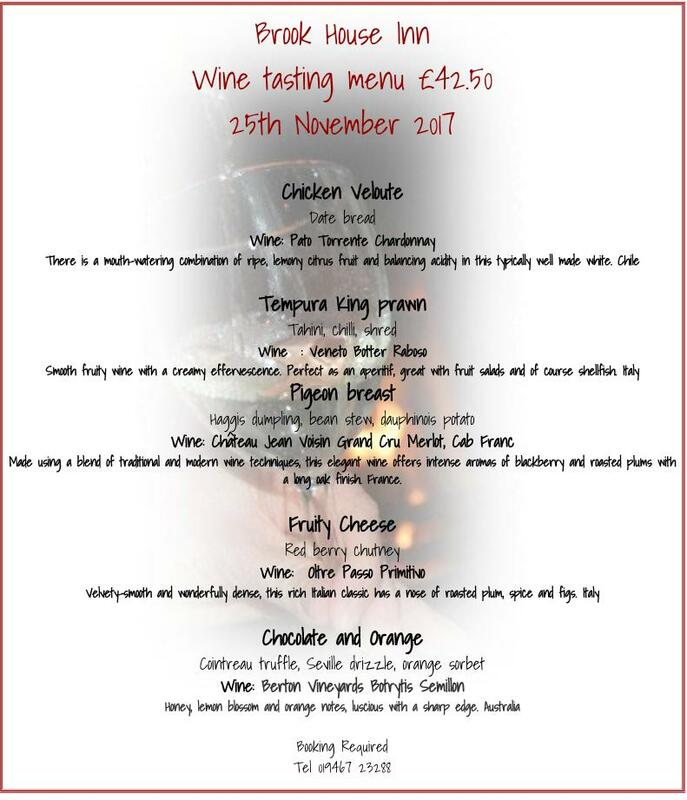 We have two wine tasting menus planned for 2018 on the 24th March and the 24th of November, below is a sample of our last menu. Well worth booking a weekend away for. Also we would be happy to arrange this kind of event for groups of 12 or more. It makes a great focal point for a weekend away in the Lake District.